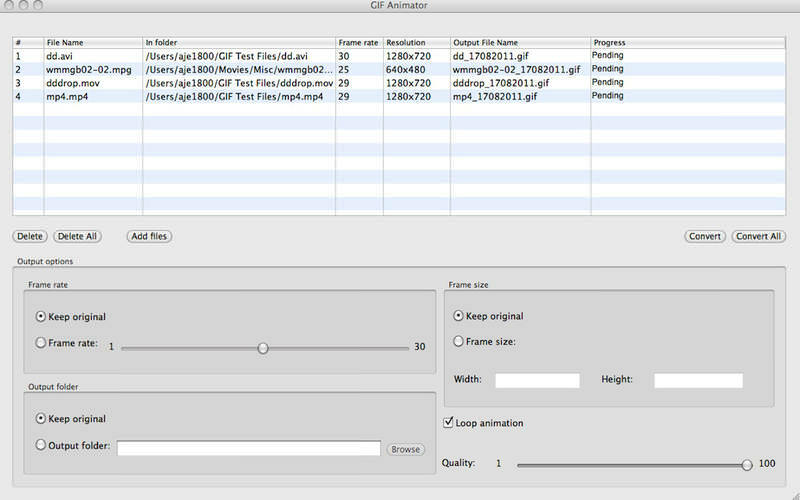 This Video to GIF converter for the Mac OS allows you to convert various video files into animated GIF files. With this software you can create animated GIF files that can be used in design projects like banner advertisements. You can also create files just to share in forums or email to friends. The Video to GIF Converter software seems to be old or discontinued. If you need more information please contact the developers of Video to GIF Converter (Andre Bias), or check out their product website.